CREEMORE, ON – Creemore Springs Brewery has announced the release of a new summer seasonal beer, as well as initial details of two future seasonal releases. Pale yellow in colour and left unfiltered, and low ABV, the style offers an easy drinking, light and refreshing ale. The new Creemore Springs Pale Wheat features a bright citrus, refreshingly tart taste with a mild tropical fruit aroma and a lingering hop character in the finish. 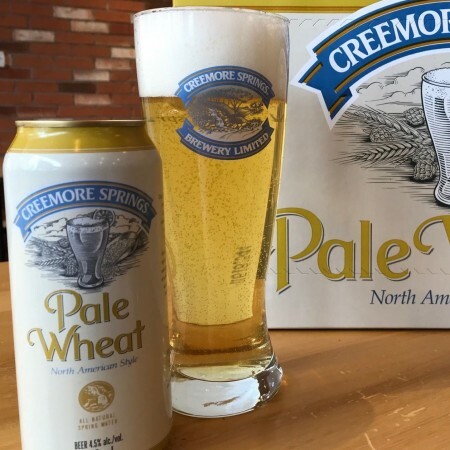 Creemore Springs Pale Wheat is available now in 473 ml cans at the Creemore Springs retail store in Creemore, BATCH retail store in Toronto, and LCBO locations throughout Ontario. It’s also featured along with Premium Lager and Lot 9 Pilsner in the latest edition of the Creemore Collection mixed six-pack at select LCBO stores. These three new beers will replace the brewery’s previous seasonal line-up of Kellerbier, Altbier, and urBock.